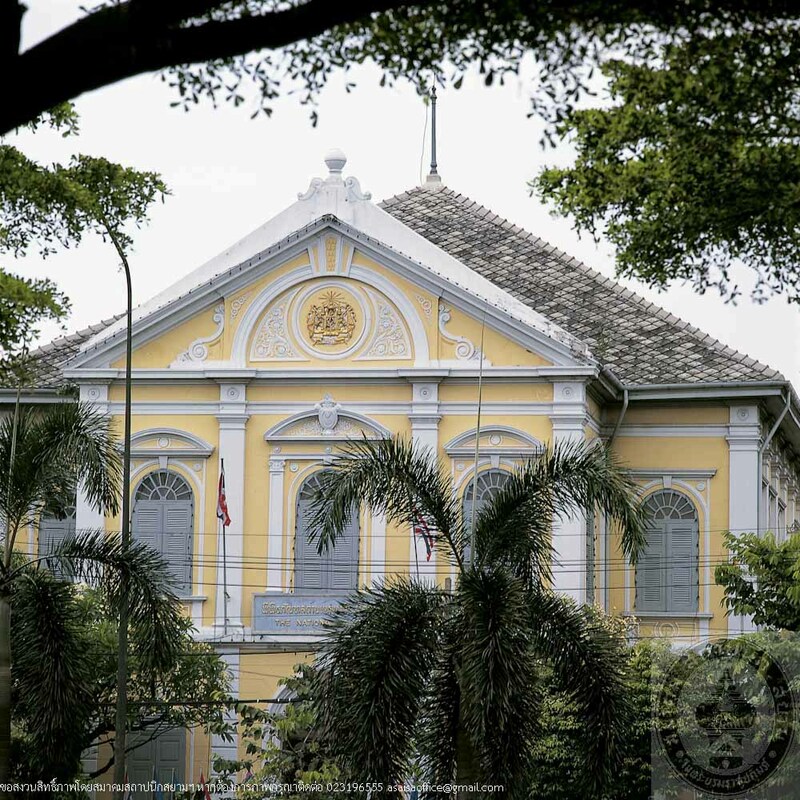 The National Gallery or Thanon Chaofa Art Gallery was originally the royal mint named “Roang Krasap Sitthikan”. 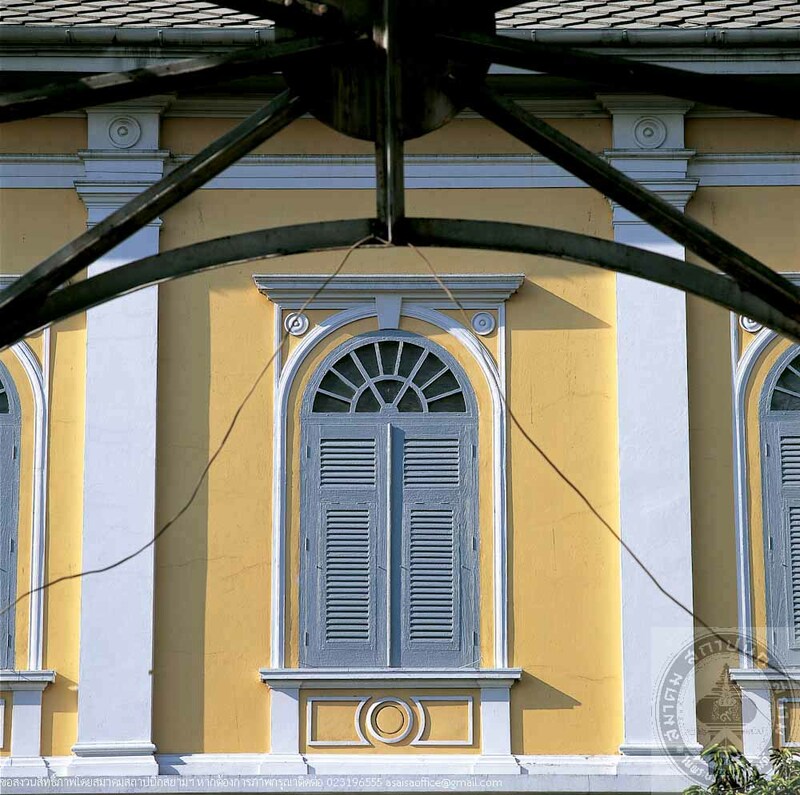 It was built circa 1902, the reign of King Rama V, designed by an Italian engineer, Mr. Carlo Allegri, in Neo-Palladian style. 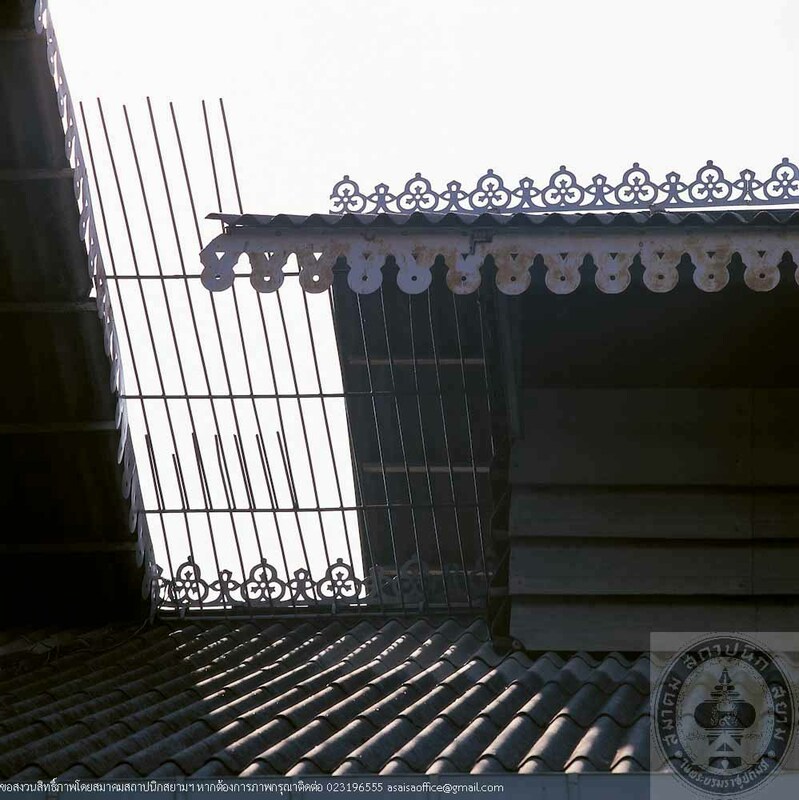 The entrance porch is decorated with the Emblem of Thailand in King Rama V period on the pediment. The plan is rectangular surrounding an open court where a water tank, also an original building, with steel structure stands. 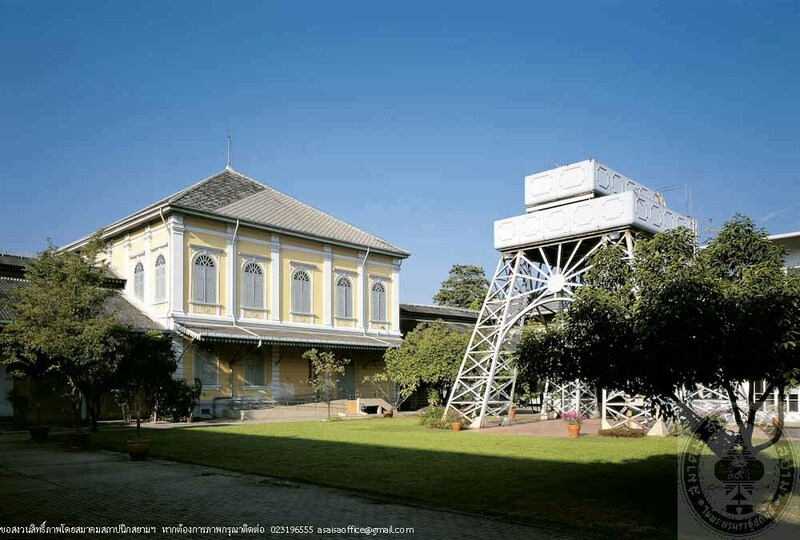 At first built this mint was very advanced with high technology machines imported from Europe which manufactured coins up to 80,000-100,000 baht per day. The mint was officially opened in 1902 and had operated until it was moved in 1968. 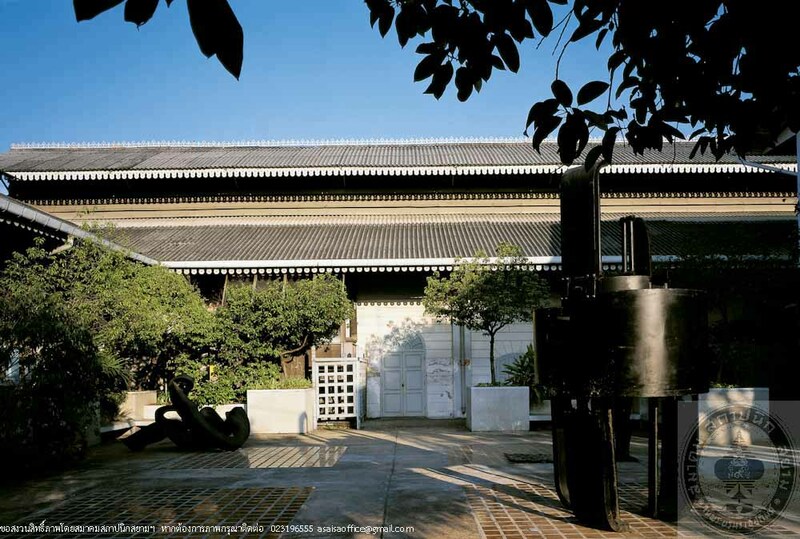 In 1974, the property was given to the Fine Arts Department who has it rehabilitated as an art gallery, a suitable function for its space and form. 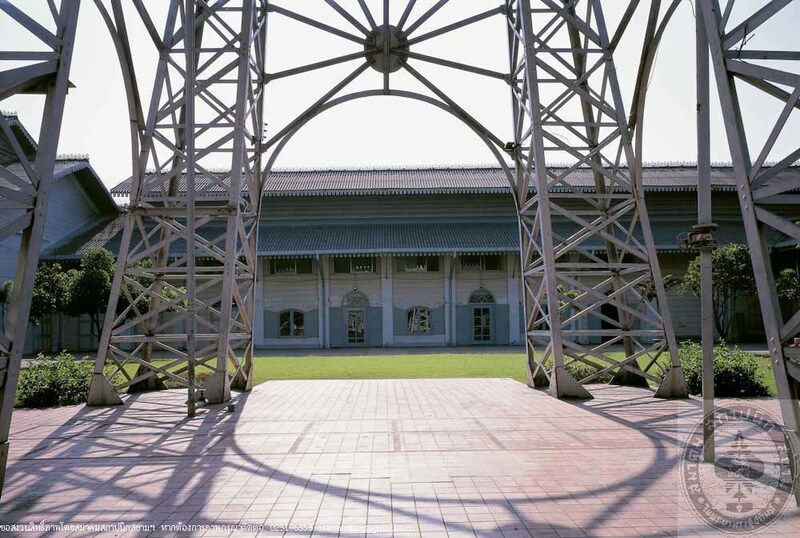 The gallery was opened on 8th August, 1978, presided over by HRH Princess Maha Chakri Sirindhorn.